CAM Therapies and Psoriasis: Which Treatments Are Effective? Treatment with curcumin demonstrated statistically and clinically significant improvements in psoriasis plaques. 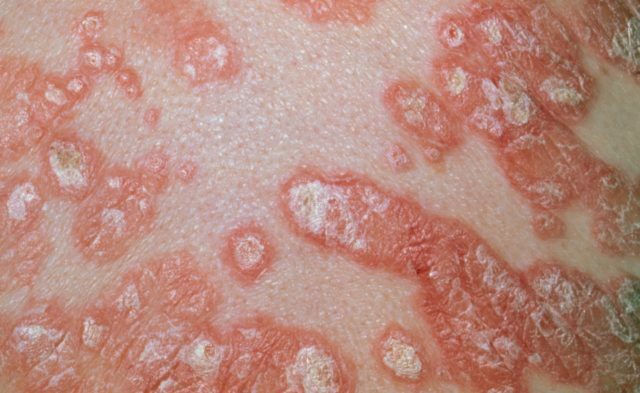 Evidence on the effectiveness of complementary and alternative medicine (CAM) therapies in the treatment of plaque psoriasis was compiled in a new systematic review published in JAMA Dermatology. To investigate the effectiveness of CAM modalities in the treatment of plaque psoriasis, researchers searched several databases to identify studies where CAM was used as an intervention. The search resulted in 44 randomized clinical trials (RTCs), 10 uncontrolled trials, 2 open-label nonrandomized controlled trials, 1 prospective controlled trial, and 3 meta-analyses. A meta-analysis of 13 RCTs involving acupuncture showed a significant improvement in psoriasis compared with placebo. An analysis of the 5 RCTs (N=215) assessing topical indigo naturalis found that the treatment was associated with significant improvement in psoriasis compared with placebo, while treatment with curcumin (3 RCTs [N=118], 1 nonrandomized controlled study, and 1 uncontrolled study) demonstrated statistically and clinically significant improvements in psoriasis plaques. Fish oil treatment, meditation and guided imagery therapies were also evaluated in the review. Twenty studies investigated fish oil; most of the RCTs found no significant improvements, while uncontrolled studies showed improvements with daily use. Meditation and guided imagery therapies were studied in 3 single-blind RCTs (N=112) and were found to be modestly effective. Close more info about CAM Therapies and Psoriasis: Which Treatments Are Effective?